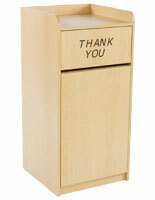 With an engraved “thank you” message, these side by side restaurant waste receptacles are perfect for any environment. 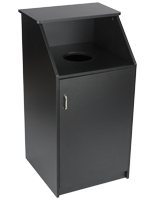 Recessed top shelf areas allow for storage of soiled trays or platters after use. 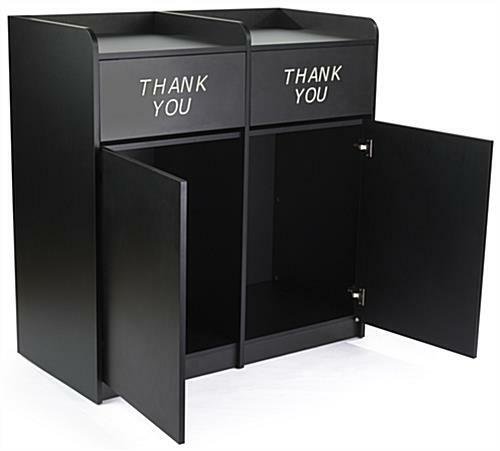 Constructed from 18mm thick MDF and finished with black thermally fused melamine, this set of wooden receptacles is made to last. 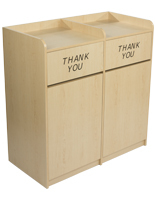 Each container accommodates trash cans or recycling bins of up to 36 gallons in size! 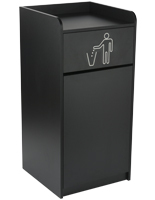 Simply push in on the swinging door to throw away unwanted refuse without having to see garbage bags. 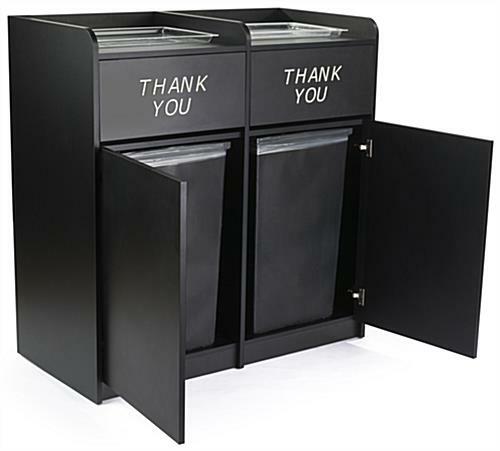 Replace the trash cans and recycling containers by open the receptacle doors featuring hinges. 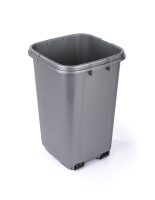 Please Note: Compatible trash can liner PLINER36V2 sold separately. 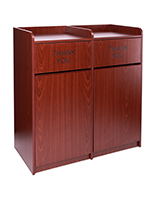 44.8" x 46.0" x 22.0"
Nice looking waste can containers. Has some damage in shipping. We're so sorry to hear that your product was damaged during shipping, Andy. 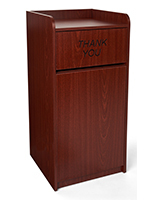 A customer care specialist will be reaching out to see if we can further assist in any way. Thank you for letting us know. This thing is a piece of garbage. Not sturdy and will not survive in a restaurant! 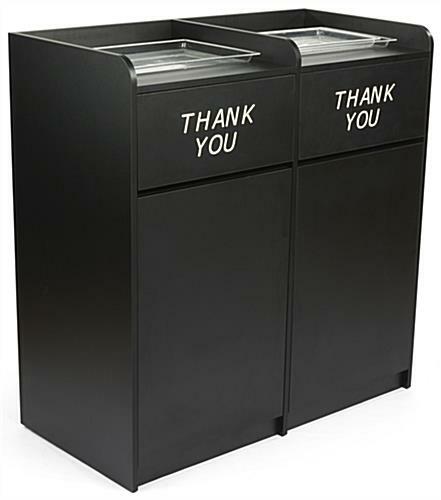 Displays to go was very nice about the refund. 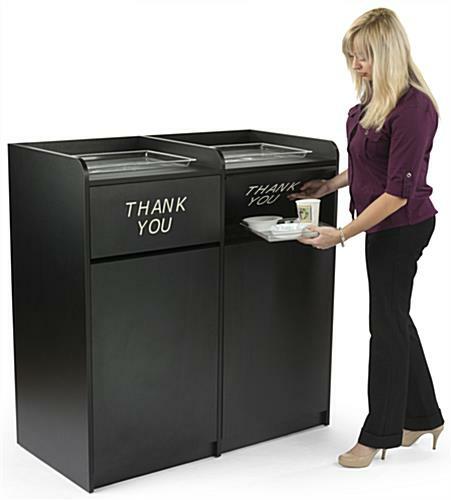 We're sorry to hear that you were unhappy with your recent purchase, Lisa. 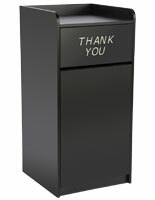 A customer care representative will contact you promptly.